Sea Dove Beach House is a 5 room double-storey house in shades of white and cream. It is perfect for a family. A collage of the exterior of the house. The verandah and balcony is big enough to add a couple of wicker chairs and sofa. Bright red flowers in window boxes and planters brightens up the white house. The foyer, living and dining area are one big open space and the kitchen is big enough to add a breakfast table or a small family area. 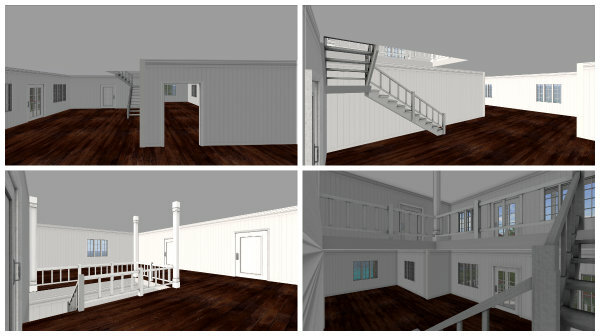 Below is one room with access to the kitchen and the foyer. Upstairs are 4 rooms and a very spacious family area. 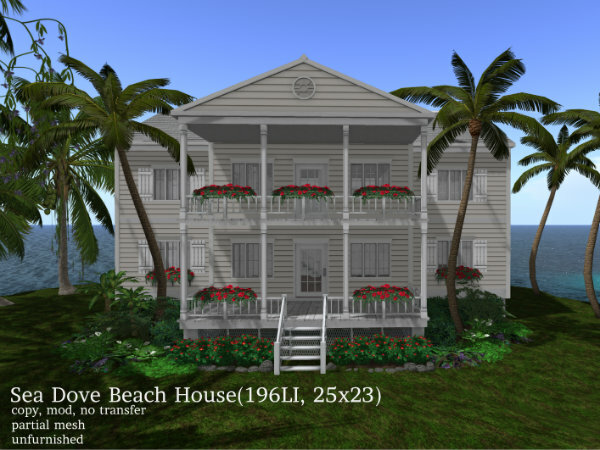 The Sea Dove Beach House is 196 land impact while the landscaping is 73 land impact. 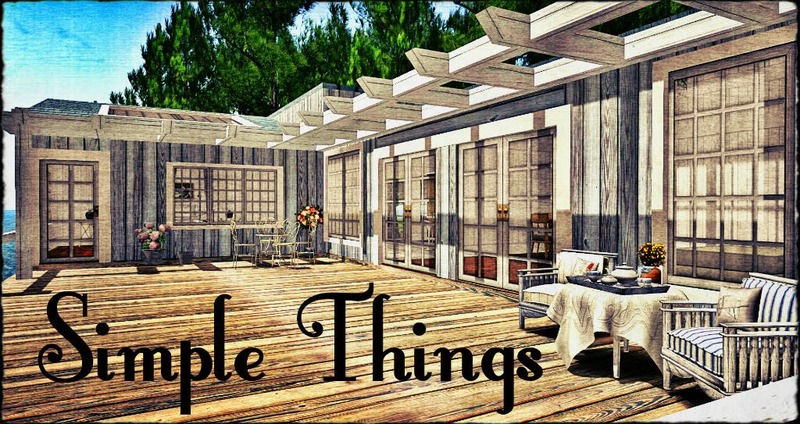 It is copy, mod, no transfer and partial mesh. I've included rezzers and non rezzers boxes. 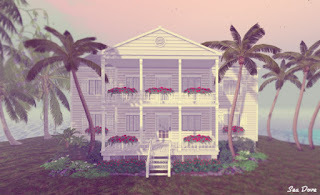 You can get the Sea Dove Beach House for 599L at my in-world store or the Marketplace. 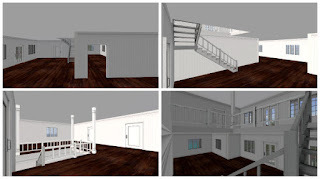 Please see the demo of this house at my in-world store.